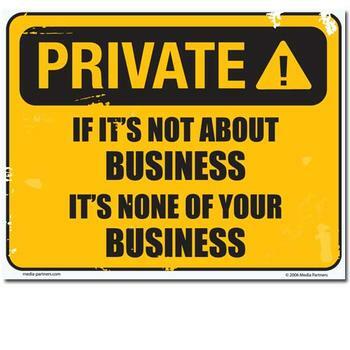 One of the issues I debate about with myself and with colleagues and friends in the Academy is the issue of public versus private. No, I don’t mean the status of the institution, but public life versus private life. In other words, how much of myself do I give? I am torn because there are three types of relationships happening at a college: 1) teacher-student; 2) colleague-colleague; 3) friend-friend. Each of these dynamics is unique and requires its own rules that oftentimes conflict with established structures for other dynamics. It’s easy to blur the lines so I find myself repeating this refrain in my head: these people are not your friends. And in many ways, this is a sad statement. Why is it that I can’t expect friendship from colleagues? Why is it that I must always be on guard for back stabbing, deceit, and general crabs-in-a-barrelness? I have been at my present institution only 2 years and already I’ve experience all of these. I’ve had colleagues in other departments tell me they’d support a new initiative in my department, and then send emails to other departments encouraging them to not support this initiative. I’ve had people ask me to co-teach new courses with them, but when I ask them to share their syllabi from past courses, they somehow never receive my email. I’ve watched others not do a damn thing at work all day, and then have the nerve to saunter into my office to ask me to help them with something. I’ve had people invite me to their homes only to get me in a private space where they could comfortably ask/say inappropriate things about my personal life and my scholarship. I’ve been backed into many corners and had no choice but to get out of it by swinging. But I am learning. I am learning how to detect these situations before they come to ahead. I am beginning to note the warning signs and heed the warnings of others. I am starting to hold back even though they want so much. The problem with not feeding into this is that you are violating expectations of ‘collegiality’. Some schools like to call this ‘fit’. Whatever fancy word they use, basically, they may end up just not liking you. And that is dangerous for your career. Because of the heavy influence colleagues carry in the tenure/promotion process, you need as many people as possible to be on your side. In You Can’t do it Alone I discussed the importance of having mentors and allies in the Academy but I did not mention that when you have the opposite (i.e., no support and enemies), you are pretty much doomed to be on the job market after your third year review (which smart scholars anticipate doing even when they do feel they are doing well in their present position). Professional relationships pave the way to success in academia; personal ones keep that path clear. So then what should I do? Should I divulge that I date but haven’t found anyone serious yet? Should I tell them I may not have children and risk offending their sometimes-liberal/sometimes-conservative ideologies of gender roles? Should I tell them I don’t want to spend my free time fake smiling while choking down plates of bland food or witnessing their children’s disrespect and misbehavior? Should I invite them to happy hour with me and my ‘real friends’ (some of whom are also colleagues) and risk defiling the only sanctuary I have? I don’t want to confuse the relationships with confusing interactions. I am very clear on where I stand with everyone in my life, and I fear changing the environment in which we interact will consequently alter the nature of those interactions. But I am equally fearful that in not sharing these aspects of myself, I risk being perceived as the angry black woman who keeps to herself. I know my struggle in this domain is not unique. Sadly, it is shared by many scholars who are in any way different from the ‘norm’. I see my LGBTQ, women, immigrant, and disabled colleagues muddle through similar conversations. I see their shock at being asked intimate personal questions and the internal battle deciding how to respond. I see the resignation and shame when they ‘give in’, and the hesitancy when they don’t. And I hear the quiet but impassioned conversations with allies that always end with you can’t have all of me. But they sure will try to take it.